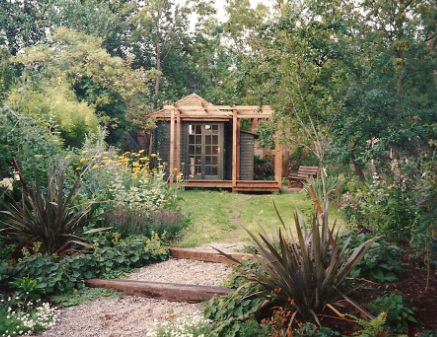 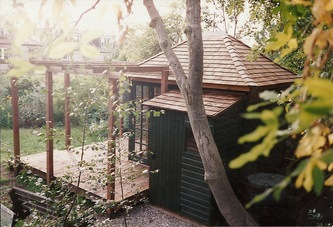 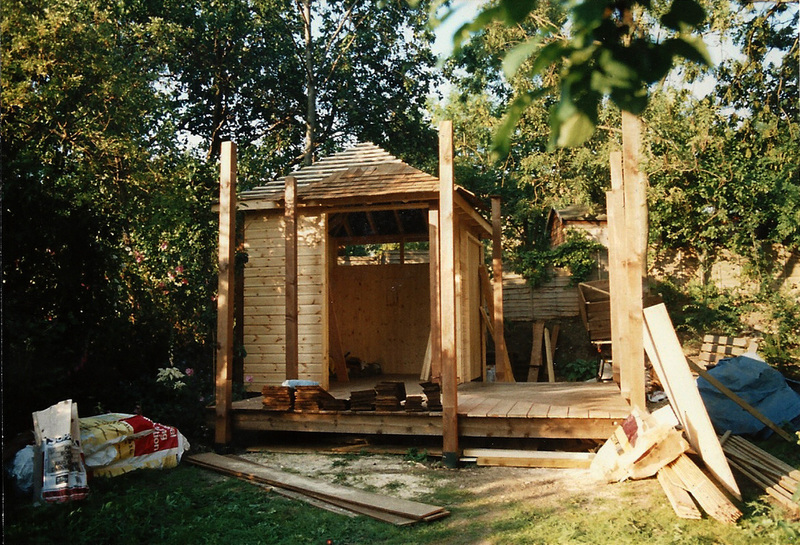 A key element of the North London garden (- see gardens) was this traditional styled summerhouse. 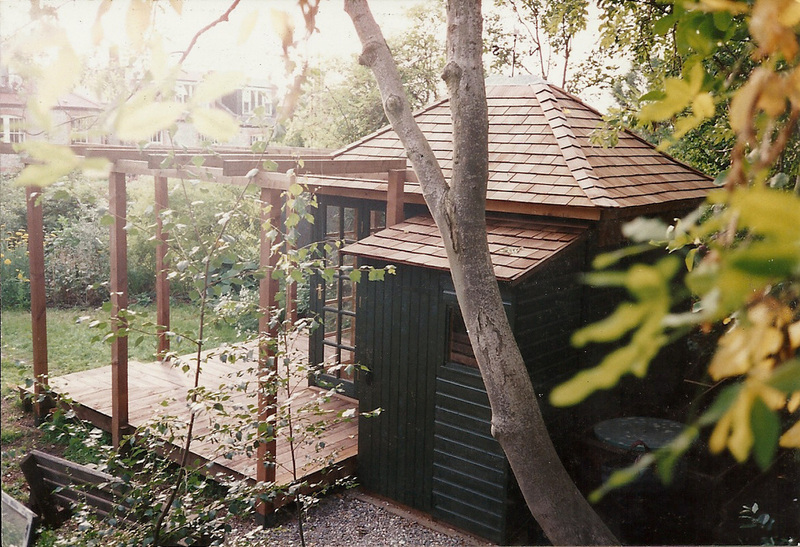 Serving both for leisure and as a workshop for upholstery, it also included a small garden shed, open deck with a timber pergola, and timber compost boxes at the rear. 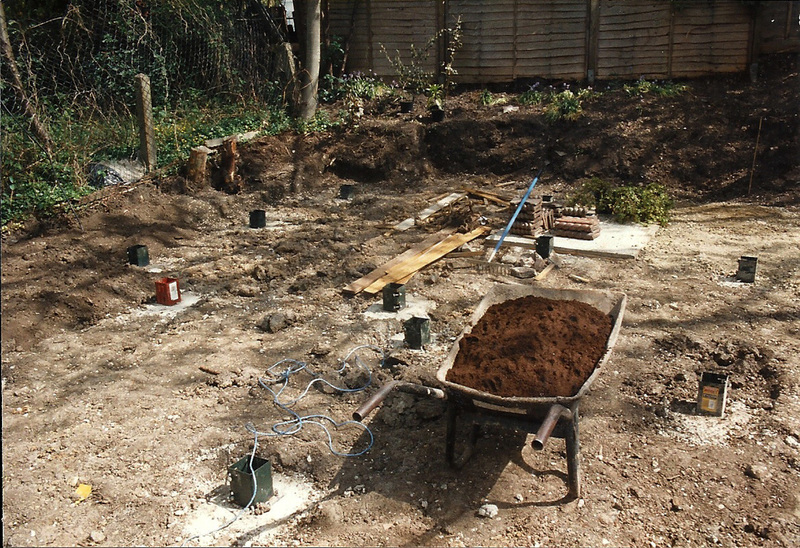 Power and lighting were supplied, and the walls, floor and roof insulated. 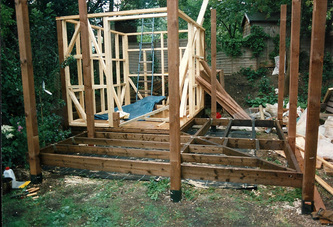 Climbers were planted to train over the pergola, and a swing seat was later hung from the frame. 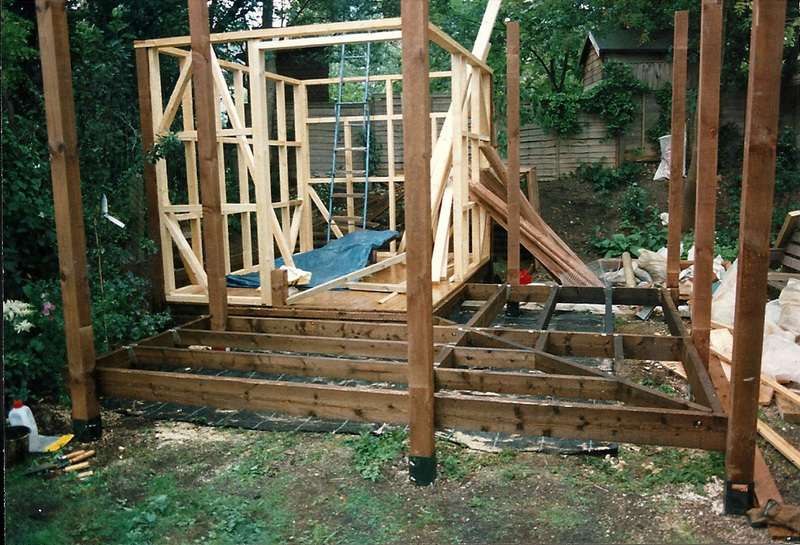 The whole structure was built on on posts, to allow air passage under the deck and floor, as the ground conditions in this part of the garden were quite damp. 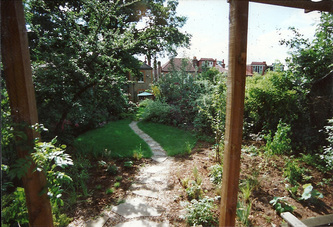 The garden was planted in a more naturalistic way than the lower half, near the house, and this served to increase the sense of 'getting away'. 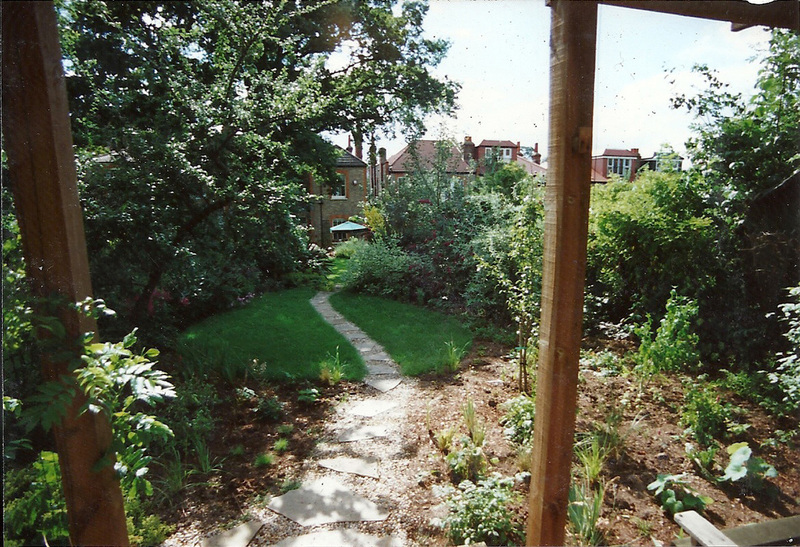 In the summer one of the clients spent as much time here as in the house - an intercom had to be installed!